Author: North, Hailey Set In . . . Description: Hollywood bad boy Cameron Scott wants to be anywhere other than New Orleans, stuck for hours in old man makeup and forced to walk with a cane. He’s made millions as an action hero, but his manager has tricked him into portraying the children’s character “Mister Benjamin,” assuring him the film will be good for his career. For Cameron, the best thing that’s happened to him is meeting Jonni DeVries, the enchanting lady of the house where the crew is filming. He’s not planning to settle down, though, and the widowed mother of an impish five-year-old certainly isn’t looking for a one night stand. What will she do when she discovers the kindly old man she thinks she’s been confiding in is one of Hollywood’s most notorious playboys? Can the real Cameron help Jonni find the courage to love again? Share their journey. 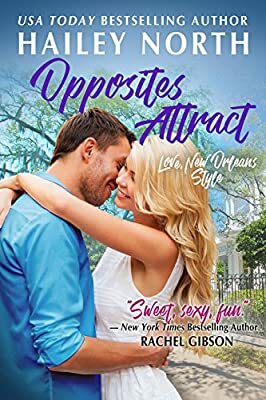 Download Opposites Attract now.